Sam Compton leads the design and implementation of international aid and development projects, with focus on strategic planning, field management, supervision of monitoring and evaluation systems and prospecting for new business. Sam started work as a BBC journalist in Northern Ireland during the 1980s, later becoming a television news producer and editor with an ITV channel in the UK. During his 30s was hired as the CEO of Kenya Television Network, sub Saharan Africa's first commercial television station based in Nairobi and then as MD of The Nation Media Group's Broadcast Division, Kenya. Sam is an experienced media and communications director who has driven innovation and change at a leading UK based media development organisation. As Programmes Director he energized staff and partners during a period of modernization, raising expertise in the area of social media, advocacy and liberalization of media markets in the Middle East, Africa and Asia. Sam has managed communication campaigns, media reform initiatives, government advocacy plans and public relations. He has directed multi-year USAID funded country programmes, and oversee country operations in post-conflict societies with focus on peace building, governance and advocacy. Sam has experience as a media consultant, offering management restructuring and senior advice to government ministries in Eastern Europe, Middle East and Africa. He has supported launch of public service broadcasters and worked on freedom of expression, with emphasis on the design of new laws, supporting governments and civil society reform media legislation. As a consultant he supported the design of media components for universities and colleges. Sam has an LLB, postgraduate qualification in journalism and is currently undertaking a Master of Science in Peace and Conflict Studies. Max Grubb is communications, media, management specialist with over twenty-five years’ experience. His professional background has considerable breadth and depth including media business, strategic communications, marketing, media relations, advocacy, media law and policy, and quantitative and qualitative research. In addition, his expertise includes working with multimedia platforms, audio/video production, social media, developing strategic partnerships/alliances, public relations, media sales and sales management, international media development, and brand management/audit. Besides his domestic experience, Max has worked internationally in countries such as Estonia, Latvia, Lithuania, Egypt, Russia, Georgia, Nigeria Great Britain and France. Also, I worked with international visitors in the USA, developing and conducting workshops and study tours for participants from Libya, Russia, Egypt, Yemen, the Caribbean, Asia, South America and African countries. In addition to Max's professional background, he has worked for years as an academic teaching and conducting research on the rapidly evolving multi-platform multimedia communications environment. Max is proud of my former student accomplishments. Many have successful careers with both new and traditional media organizations. His experience also includes working with nonprofit organizations as a volunteer, in fundraising, development, management development and serving as a board director/trustee. 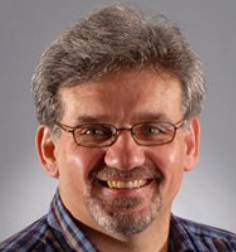 Karl Idsvoog is a highly versatile and cost-effective multimedia trainer, consultant and educator. 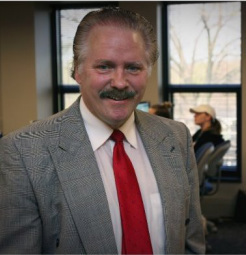 Having worked as an investigative reporter, producer, and manager in local, network, syndicated television and online journalism, Idsvoog moved into training/consulting and education following the bankruptcy of APBnews.com in New York where he got a “superb education” in the online world. Idsvoog has completed highly successful media development, training missions for the U.S. Department of State, the International Center for Journalists, Internews, Radio Free Asia and IREX. In the Republic of Georgia following the Rose Revolution, Idsvoog served as a founding member of the news advisory board to help Georgian Public Television restructure its news gathering operations. He developed and taught the broadcast curriculum for the Caucasus School of Journalism & Media Management in Tbilisi. During more peaceful and cooperative times with Syria, Idsvoog helped management at Syrian National Television pinpoint structural problems in its workflow and production systems. In Kenya, Idsvoog helped journalists improve their strategic approach to developing solid news stories. In Cambodia, Idsvoog helped radio journalists become multimedia journalists as they began reporting for the web. At Radio Free Asia’s headquarters in Washington, D.C., Idsvoog has done voice training for on-air journalists in the Mandarin, Cambodian, Burmese, Tibetan, Vietnamese and Korean services. In Botswana, Tunisia and Egypt, the training often turned to distribution on social media, how to shoot good video with your phone and how to use it effectively on your blog. Margie Freaney, the founding academic director of the Caucasus School of Journalism and a woman who’s trained journalists throughout Eastern Europe and Southeast Asia calls Idsvoog the “best journalism educator” she’s ever seen. Idsvoog has a BA and MA in journalism from the University of Wisconsin – Madison where he was selected as the school’s outstanding graduate. He was a Nieman Fellow at Harvard University. He is married. He and his wife Kathy have two adult children, Kate an elementary school teacher and Adam, an international relations specialist. Idsvoog teaches a range of multimedia journalism courses at Kent State University. His students reporting work has been featured by IRE, Propublica, Bill Moyers, the Sunlight Foundation, Jim Romenesko, Cleveland Plain Dealer and TVNewscheck. Be sure to check out his blog When Journalism Fails!